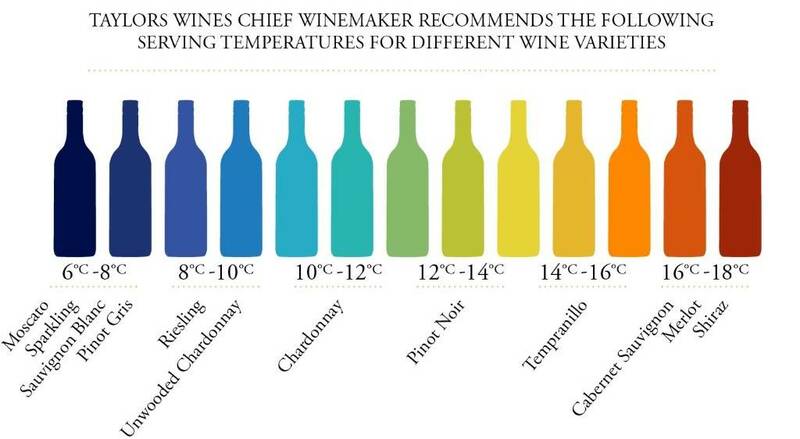 Temperature – This is key because most of us drink our whites too cold and our reds too warm. White wines too cold lose their aromatics and will be muted and often flavourless until warming up. Red wines, if served too warm, will often accentuate the alcohol and will feel hot, and truly uncomfortable on the back of the throat, and like whites, difficult to detect aromas or flavours because of the overwhelming alcohol. A general rule of thumb is to take white wine OUT of the fridge 15 minutes before serving, and place red wine IN the fridge 15 minutes before serving. Investing in a wine thermometer, or a specialty wine fridge for optimum serving temperatures might be handy too. Most white wines should be served between 8-12 degrees C, and red wines from 12-16 degrees C.
Glassware – Many people think this is absolute hookum, but after being part of a Riedel glassware tasting, I kid you not, there is relevance to having the proper glass for your varietal! Don’t get me wrong…I’m not saying go out and buy 4 glasses of EACH varietal. That’s just crazy! But Riedel makes an everyday white wine and everyday red wine glass too, and these go a long way in making even the slightest difference in the taste of your wines. Red wines, white wines, port, brandy/cognac, dessert wines and sparklers all have special glasses, and if you can, check into them. Hint: Check out your local thrift stores! You will often find fantastic wine glasses there for all types of wine at a fraction of the price! Try to avoid glasses that are etched or painted! To Decant or Not to Decant…that is the question – Many people ask me (and often), “do I, or should I decant this?” There is never one specific answer! Vintage Ports, without a doubt need to be decanted to remove the sediment that has built up in the bottom of the bottle. These ports are meant to age in the bottle, so with time, the tannins break down in the form of sediment and fall to the bottom. It looks rather sludgy, and you don’t want to be drinking that, so not only is decanting necessary, but filtering also! I also tend to decant if I’m pouring a very expensive wine that is big and expressive (or it’s supposed to be) but remains closed or tight until after a lot of oxygen has come into contact with the wine. For example, I did a Rhone Valley tasting a month and a half ago, opening a Chapoutier Côte-Rotie to share with the group. At $175 retail, I wanted to make sure they got the very best experience from this wine, so I actually opened it the day before the tasting, then again the morning of the tasting, I did a double decant. Into the decanter, back into the bottle, then into the decanter one final time before letting it sit for the rest of the day before everyone got a chance to try it around 8:15 pm. That particular wine was opened for approximately 36 hours before serving! The end result? It was beautiful, and I explained to the group that their experience would in all likelihood have been very different had I only opened the wine at 6 pm, only two hours before tasting, as opposed to when I did. 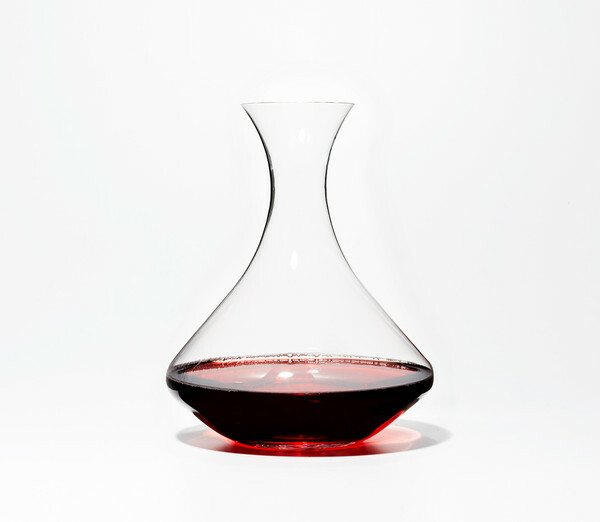 I used to have hard and fast rules about decanting, but mostly, I just use my intuition on whether or not to decant. All of this is good information, but what do I know? I recently heard from a reader who invited me to share some “back to basics” from their handy guide, and I thought this guide was brilliant, and covers a plethora of information, whereas I’ve just scratched the surface. Click here to access the guide, or just head on over to https://www.vintageroots.co.uk to get lots of great information on wine, beer, cider and spirits, along with a blog, and the ability to order product! Cin Cin! This entry was posted in Education, wine and tagged back to basics, decant, experience, glassware, serving, temperature, wine. Bookmark the permalink. Some great reminders! Thank you! Great advice, thanks for sharing. So interesting about the Côte-Rotie, I never would have dared to open 36 hrs before, but it makes sense with such a concentrated, complex wine.